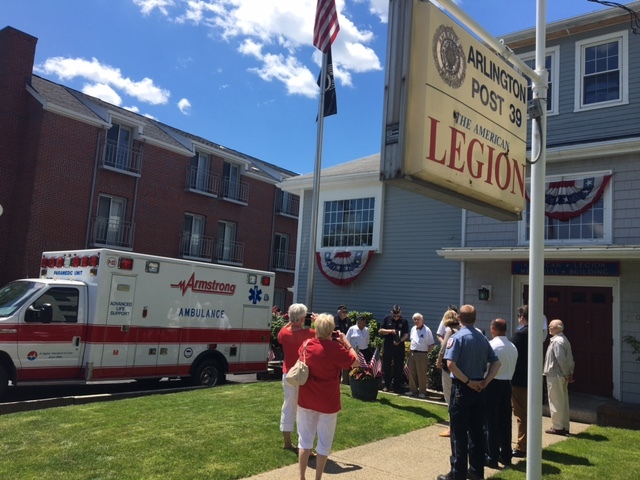 President Gale Armstrong Brady, alongside Paul Gallagher, Victor Marchese, Bobby Hoffman, and Sean Mangan, celebrated 4th of July at the American Legion Post 39 in Arlington. 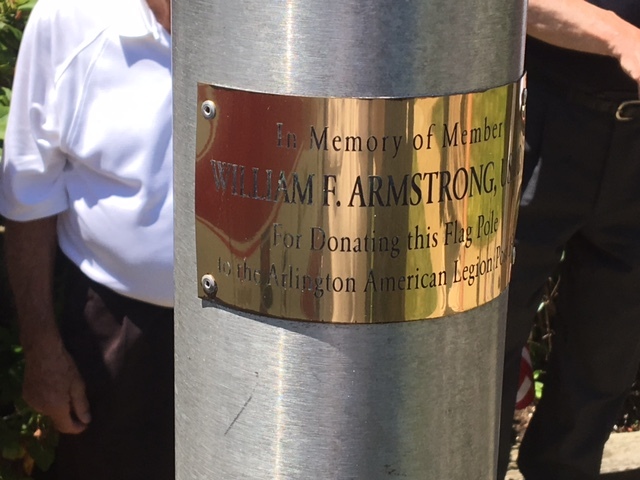 The morning ceremony was a dedication to our great founder Bill Armstrong, who had previously donated the flagpole as a longtime member of the American Legion. In an event of a medical emergency calling 911 should always be the first step, however, before EMS professionals arrive on scene it is often the life-saving techniques implemented by bystanders that increase a patient’s odds of survival and subsequent quality of life. 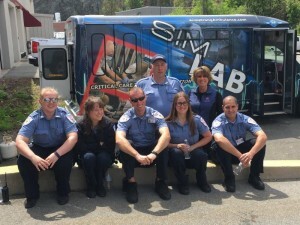 As a proud partner of the City of Medford, Armstrong Ambulance recently rolled out a variety of life saving skills classes to the community. 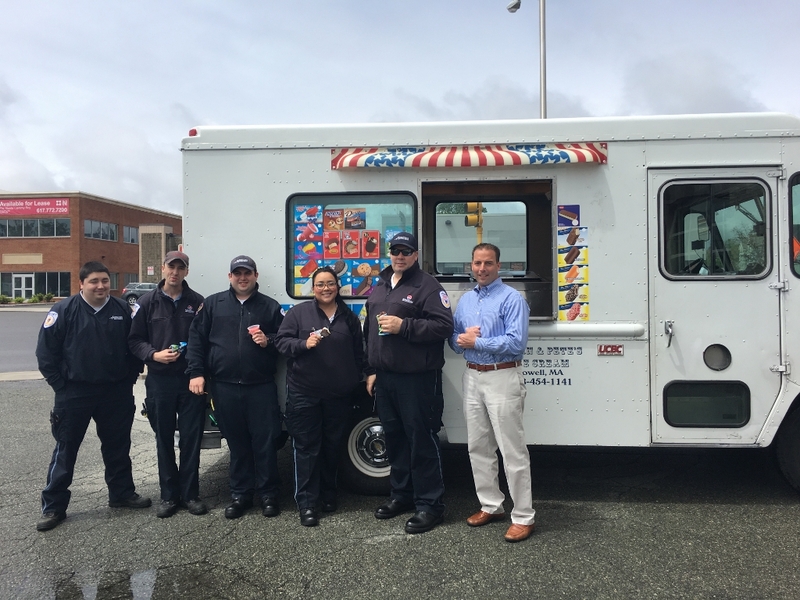 To kick start the summer, we collaborated with the Medford Public Schools, Medford city government and Medford Fire and Police Departments on outreach initiatives focused on current public health issues. 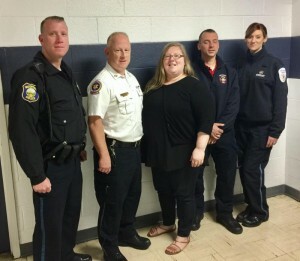 Over the last few weeks, Armstrong Paramedics Sean Mangan and Danielle Rabickow taught all 400 graduating Medford seniors how to provide basic life saving techniques. This training included hands only CPR, how to use an AED, Naloxone administration, opiate awareness/education and the principles of hemorrhage control and tourniquet use. The Medford Vocational Technical High School seniors received additional training where workforce injury data from 2016 was used to teach injury prevention and aid within top categories of injury. Additionally, life saving techniques were taught to Medford parents on June 1st, during The Medford Office of Prevention and Outreach’s “Hidden in Plain Sight” exhibit; a display focused on educating parents on spotting potential signs of opioid abuse. As part of this exhibit, Armstrong provided additional training for parents that included recognizing and responding to a stroke, using an AED, hands only CPR, spotting the signs and symptoms of an overdose and administering Naloxone. We look forward to working in conjunction with all of our communities to deliver similar educational opportunities. We are always seeking opportunities to partner with interested schools, communities, and organizations. By providing the tools and resources necessary for life saving interventions, we hope to see a decrease in accidents and acuity of incidents that require emergency medical transportation. 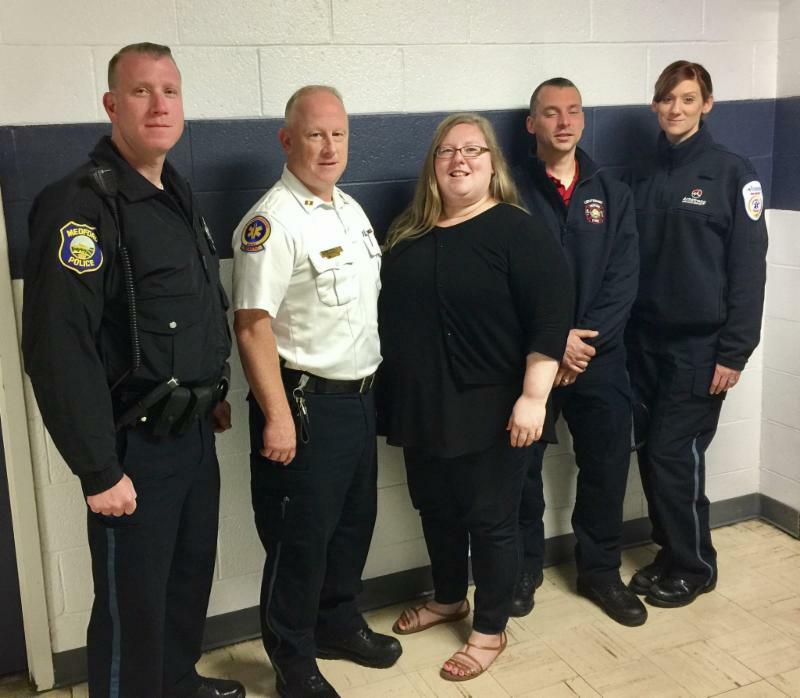 Congratulations to our Administrative Services Manager Stacey Cloutier, who recently received Zoll’s EMS Pulse award. 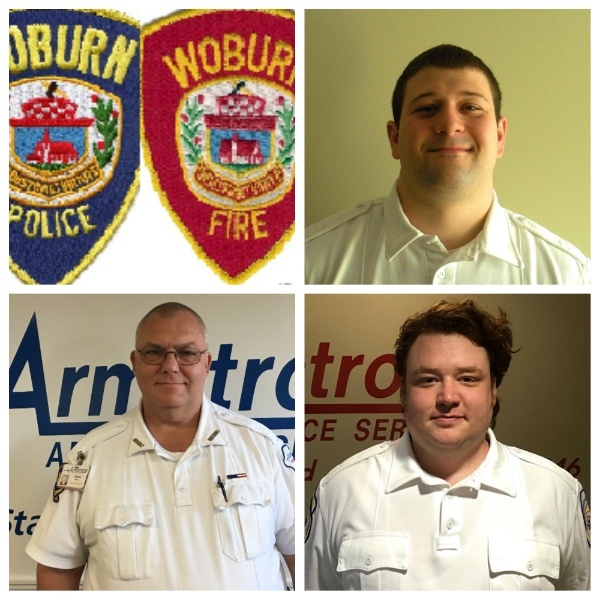 The award recognizes professionals who are the pulse of their EMS organization, working behind the scenes of prehospital care and empowering their organization to provide better care and ultimately enable their teams to save more lives within their communities. Stacey received this award because of her 11 years of dedicated service to Armstrong. 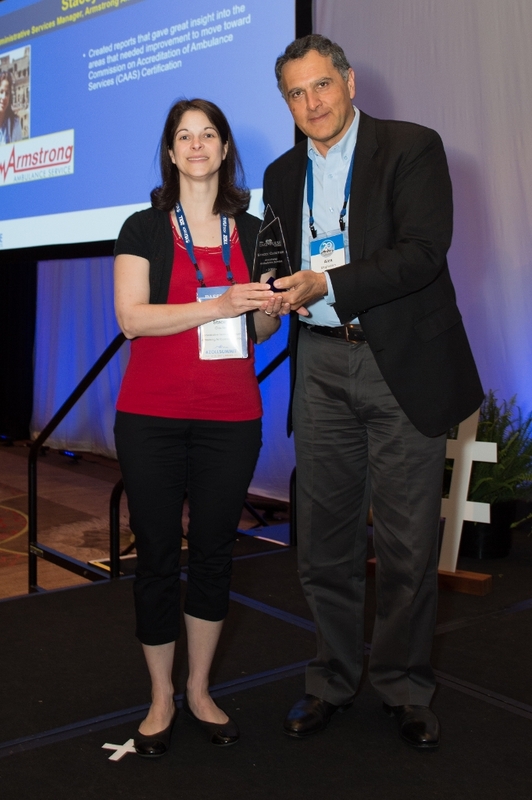 In 2012 she became the Project Leader for our efforts to get CAAS Certification. Utilizing RescueNet, she created a multitude of reports that gave great insight into those areas we needed to improve as we moved towards certification. She was then able to develop processes to recognize deficiencies and identify methods to improve them. These systems were created in such a way that they are reusable, not only towards certification but also as methods to identify problem areas on an ongoing basis. Stacey has created extensive reports on fleet utilization, movements, and costs. Through this data, we have decreased fuel costs, lessened insurance claims and provided a safer working environment overall. Again in 2016, Stacey spearheaded Armstrong’s successful CAAS re-accreditation effort, and she continues to contribute daily to improving the organization. Thank you, Stacey, for helping to keep Armstrong running! 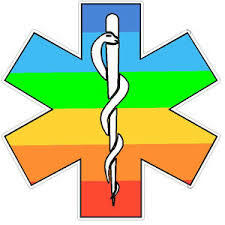 Each year, we celebrate EMS Week to recognize the dedicated and committed men and women of Emergency Medical Services. 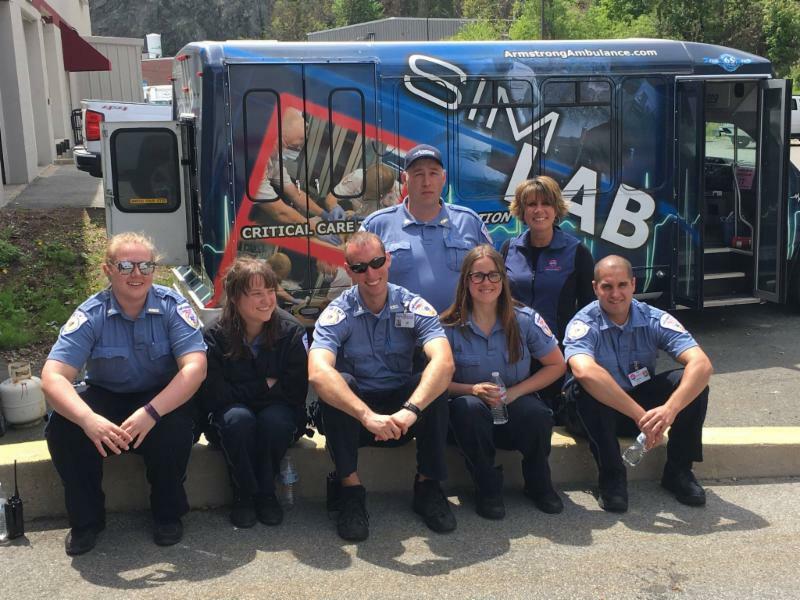 This year’s national theme was “Always in Service”, identifying the fact that emergency medical personnel are continuously working to provide for their patients and communities. We kicked off the week with our annual scavenger hunt. Employees were given a list of tasks to complete in 12 hours throughout their workday. Throughout the week we celebrated with catered breakfasts, base visits from a food truck and an ice cream truck, and numerous giveaways, including an Armstrong Ambulance logoed mag light, popular artist’s concerts inHeinekenekein Boardroom, and gift certificates to local restaurants. We had a lot of fun during the week with our activities, treats and giveaways and are already looking forward to EMS Week 2018! 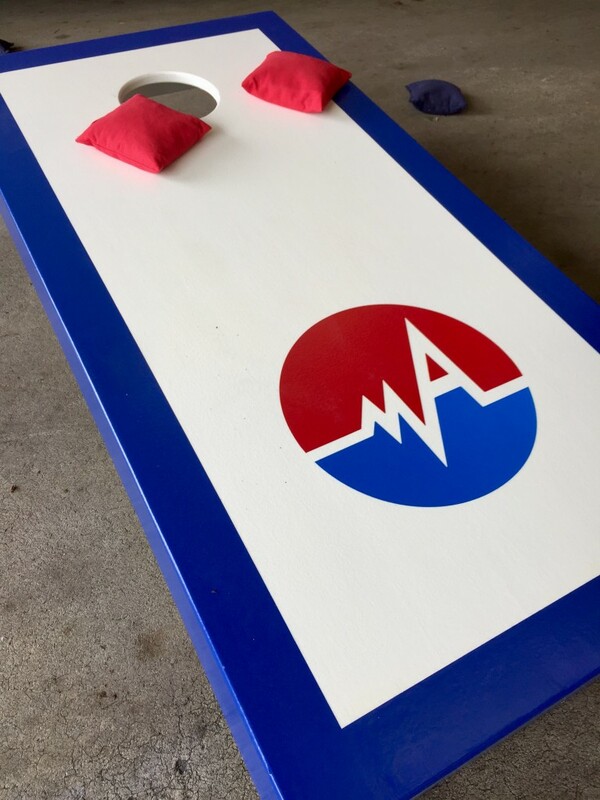 It is always great to celebrate our employees and all of their accomplishments, but just to make things sweeter; we were recognized by the American Ambulance Association for our week long celebrations! Check out the article HERE. Armstrong Ambulance is proud to announce our partnership with Project Linus. 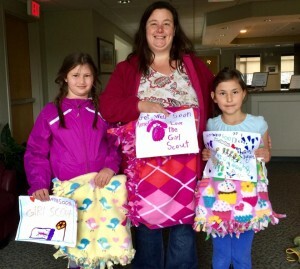 After reading an article in 1995 about a young girl who depended on her “blankie” to tolerate her chemo treatments, Karen Loucks founded Project Linus. The mission of Project Linus is to “provide love, a sense of security, warmth, and comfort to children who are seriously ill, traumatized, or otherwise in need through the gifts of new, handmade blankets and afghans, lovingly created by volunteer “blanketeers””. Since the 1995 inception, over six million handmade blankets have been donated to children all over the world. This extraordinary mission has made such an impact on lives and continues to expand into communities in all 50 states. Armstrong is proud to have partnered with Project Linus and District Attorney Marian Ryan’s office in an effort to provide a special blanket to any child affected by a crisis in Middlesex County. In this partnership, Armstrong will not only be a drop off location for any handmade blankets in the area but will also work with the Project Linus/Middlesex DA team to best identify and distribute these special security blankets to children in need. Arlington Headquarters located at 87 Mystic Street. Project Linus, please visit http://www.projectlinus.org. On Friday, April 21st, we had the honor of hosting a reunion for SheNequa, Laurie, and Shane Haynes. 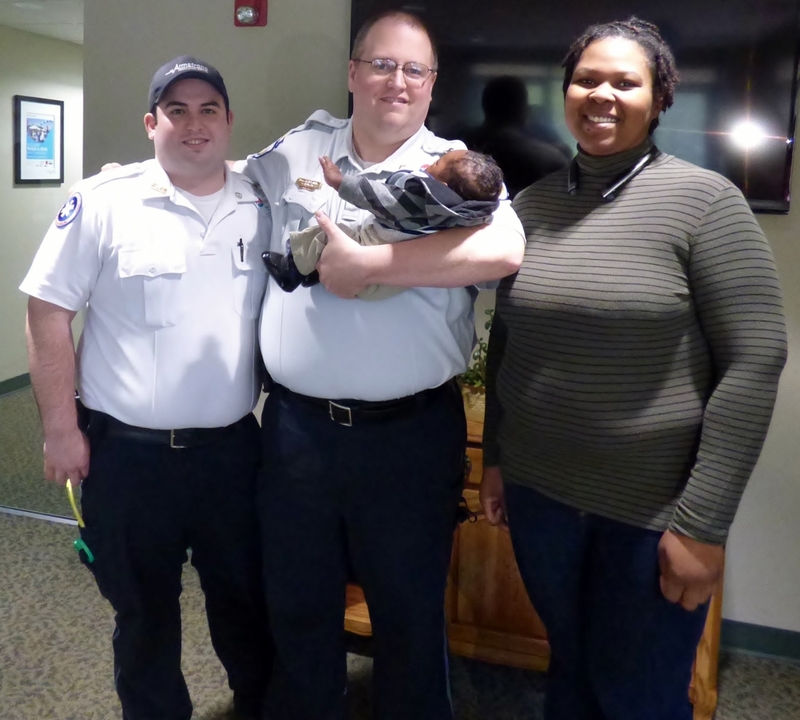 Two Months ago, Nick Henderson and Kyle Vieira responded to a 911 call for a woman in labor. Once Nick and Kyle arrived on scene, things moved very quickly so the crew assisted SheNequa with the birth of baby Shane. By their talent and grace under pressure, you would never know that this was both Nick and Kyle’s first delivery! Mom and baby arrived at Armstrong today healthy, happy and excited to reunite with the crew that helped bring Shane into the world. SheNequa and Armstrong exchanged gifts, (one being an “Armstrong Ambulance Special Delivery” onesie), and recounted the very memorable events from the morning of her delivery. taken in such a horrific and violent act of terror. brother, sister, aunt, uncle, neighbor, colleague, friend. The deep pain that is now being felt by the LGBTQ+ and the Orlando communities is indescribable. safety at risk to help victims during this crisis. In the face of tragedy, the resilience of humanity always prevails. faith in human decency bring us together and make us stronger. Every year since 1974 the nation has observed the third week in May as EMS Week. EMS Week was established to celebrate the committed and hard working men and women of our nation’s Emergency Medical Services. 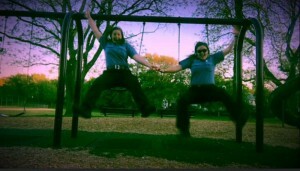 An EMS career requires individuals with a passion for service, grit and a call to care. Our employees work 365 days of the year, 24 hours a day and couldn’t make us any more proud. 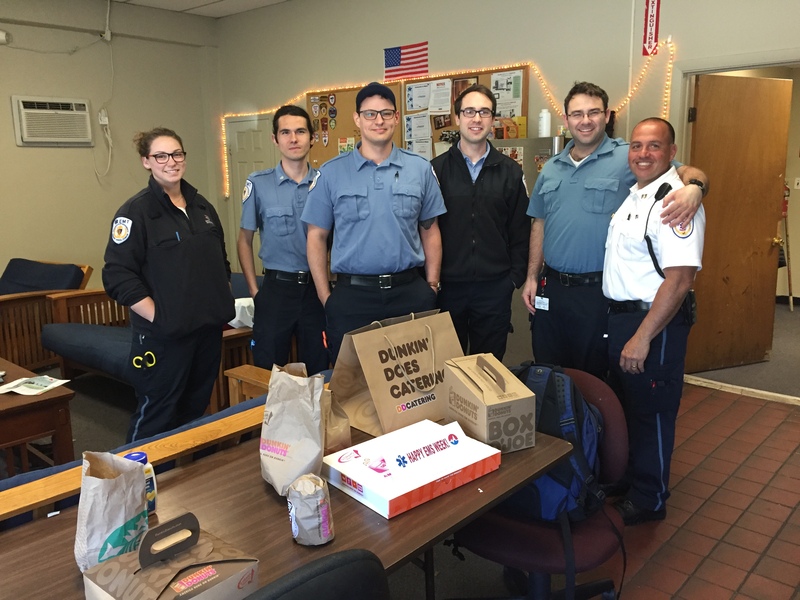 During EMS Week, Armstrong crews and office staff participated in our annual scavenger hunt, were treated to catered lunches and breakfasts, received Armstrong logoed chairs and indulged in affiliate sponsored EMS Week activities. It was a fun and busy week which was made special by many. We would particularly like to thank our partner facilities for their generosity to our employees who greatly enjoyed the kind gestures! Our crews and staff at Armstrong show each and every day just how much they care about their patients, their partners and their communities. We are so honored to be represented by such a talented and dedicated team. Although EMS Week 2016 has come to a close, our gratitude and appreciation will continue through the year!